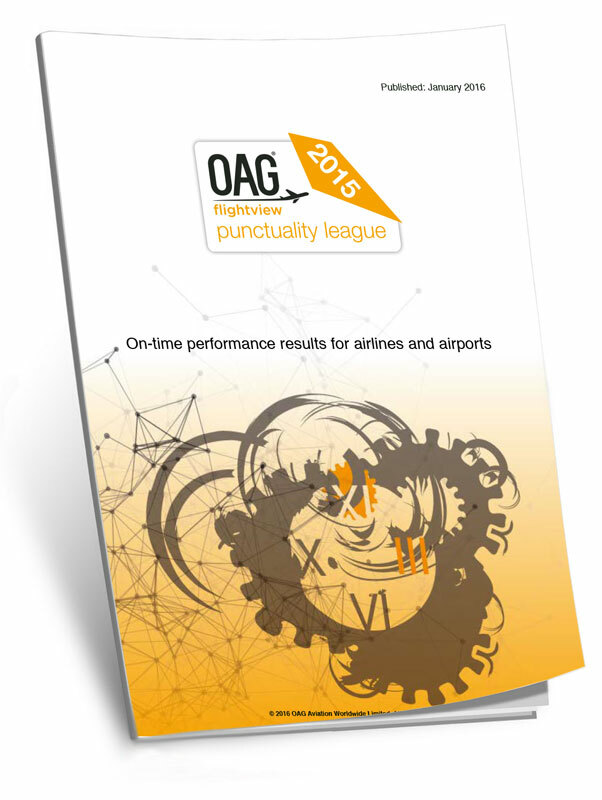 BE THE FIRST TO RECEIVE OAG'S ON - TIME PERFORMANCE REPORTS FOR AIRPORTS & AIRLINES, PUBLISHED MONTHLY. See the global rankings for on-time performance for airlines and airports during the month of March 2019. See the global rankings for on-time performance for airlines and airports during the month of February 2019. See the global rankings for on-time performance for airlines and airports during the month of January 2019. See the global rankings for on-time performance for airlines and airports during the month of December 2018. See the global rankings for on-time performance for airlines and airports during the month of November 2018. See the global rankings for on-time performance for airlines and airports during the month of October 2018. See the global rankings for on-time performance for airlines and airports during the month of September 2018. See the global rankings for on-time performance for airlines and airports during the month of August 2018. See the global rankings for on-time performance for airlines and airports during the month of July 2018. See the global rankings for on-time performance for airlines and airports during the month of June 2018. See the global rankings for on-time performance for airlines and airports during the month of May 2018. See the global rankings for on-time performance for airlines and airports during the month of April 2018. See the global rankings for on-time performance for airlines and airports during the month of March 2018. See the global rankings for on-time performance for airlines and airports during the month of February 2018. See the global rankings for on-time performance for airlines and airports during the month of January 2018. See the global rankings for on-time performance for airlines and airports during the month of December 2017. See the global rankings for on-time performance for airlines and airports during the month of November 2017. See the global rankings for on-time performance for airlines and airports during the month of October 2017. See the global rankings for on-time performance for airlines and airports during the month of September 2017. See the global rankings for on-time performance for airlines and airports during the month of August 2017. See the global rankings for on-time performance for airlines and airports during the month of July 2017. See the global rankings for on-time performance for airlines and airports during the month of June 2017. See the global rankings for on-time performance for airlines and airports during the month of May 2017. See the global rankings for on-time performance for airlines and airports during the month of April 2017. See the global rankings for on-time performance for airlines and airports during the month of March 2017. See the global rankings for on-time performance for airlines and airports during the month of February 2017. See the global rankings for on-time performance for airlines and airports during the month of January 2017. See the global rankings for on-time performance for airlines and airports during the month of Decemer 2016. See the global rankings for on-time performance for airlines and airports during the month of November 2016. See the global rankings for on-time performance for airlines and airports during the month of October 2016. See the global rankings for on-time performance for airlines and airports during the month of September 2016. See the global rankings for on-time performance for airlines and airports during the month of August 2016. See the global rankings for on-time performance for airlines and airports during the month of July 2016. See the global rankings for on-time performance for airlines and airports during the month of June 2016. See the global rankings for on-time performance for airlines and airports during the month of May 2016. See the global rankings for on-time performance for airlines and airports during the month of April 2016. 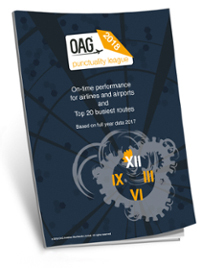 See the global rankings for on-time performance for airlines and airports during the month of January 2016. See the world's most punctual airlines and airports in 2017. Compiled using the most comprehensive airline schedules database in the world and using the most trusted source of flight status information. 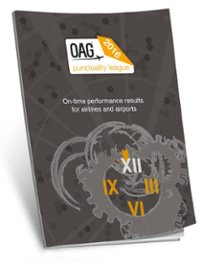 Compiled using the most comprehensive airline schedules database in the world and the most trusted source of flight status information, the OAG Punctuality League reveals the annual ranking of on-time performance (OTP) for airlines and airports.